Does your child, grandchild, relative or friend have everything they need? Why not give them a unique art experience so they can have fun while developing skills they can use in the future? 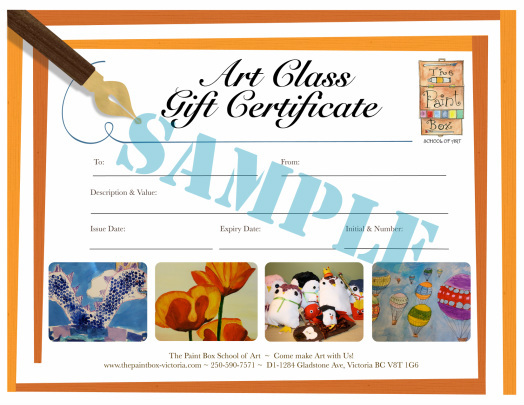 This is exactly what they’ll get if you give them a gift certificate for art classes at The Paint Box.